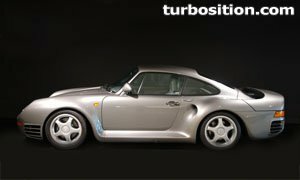 The 959 was designed as an prototype and motorsport homologation car. Like a Porsche GT1 and the Carrera GT later, it was used finest racing technology and brought it the street. Unfortunately only few know the promise to find out this, then it gave only a small number and he was extremly high priced. 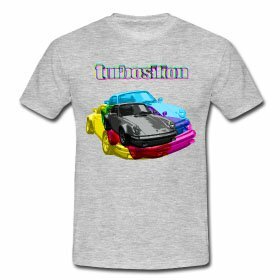 How progressive the used technology were, you can see, that a good portion will be find in the Porsche 993 turbo again, which follows 10 years later. Also optical shows the 959, how the 911 of the coming generations will be developed. So technical highlights were the four-wheel drive, the two water-cooled turbocharger, sodium-filled exhaust valves, chassis parts in Kevlar, polyurethane and aluminium, all around independent wheel suspension, speed dependent level control system, magnesium rims and a tire pressure control.